On-highway truck drivers demanded more of their on-highway truck. They wanted options. We delivered. 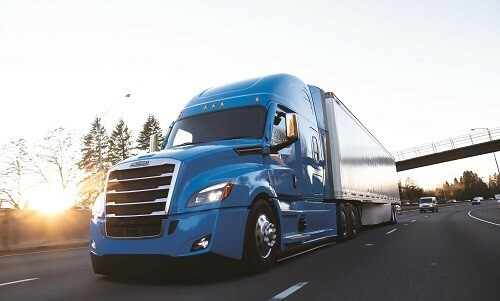 The new Cascadia is the most advanced on-highway truck Freightliner has ever offered. Advanced aerodynamics help it slice through the air and boost fuel efficiency. Smart exterior design improves basic vehicle servicing, increasing uptime. 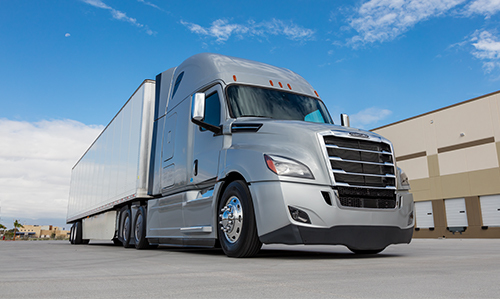 Take a Good Look at the New Cascadia From Freightliner. 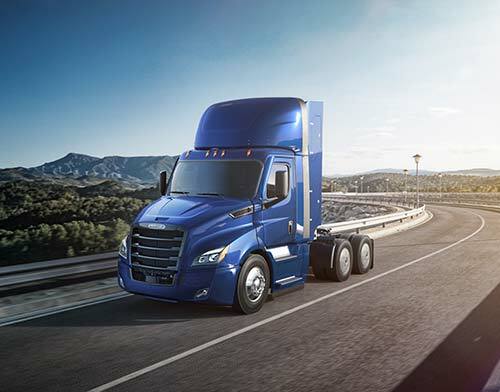 Designed to reduce your Real Cost of Ownership℠, the new Cascadia offers improved fuel economy, enhanced safety features and leads the way in technological advancements and driver comfort. At Freightliner, fuel efficiency is an obsession as evidenced by new enhancements to the Aero package, which now includes an A-pillar deflector, tow hook covers as well as an optimally sloped hood, aerodynamic mirrors, door seals, side extenders, side extender seals, removable rear wheel covers, and full chassis fairings with enhanced flexible side skirts. Take aerodynamics to the next level with the new AeroX package’s optimized low ground-clearance bumper, optimized drive wheel fairings, optimized roof deflector, front wheel well closeouts, Aerodynamic Height Control and Michelin X Line D+ Energy Tires in addition to the longer side extenders and removable rear wheel covers. 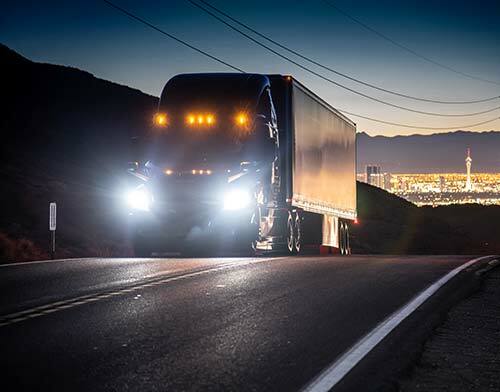 The new Freightliner Cascadia headlight is the industry’s first full-LED lighting system, improving visibility with a whiter light, focused beam pattern, longer life and ease of replacement, to reduce your downtime and directly impact your bottom line. 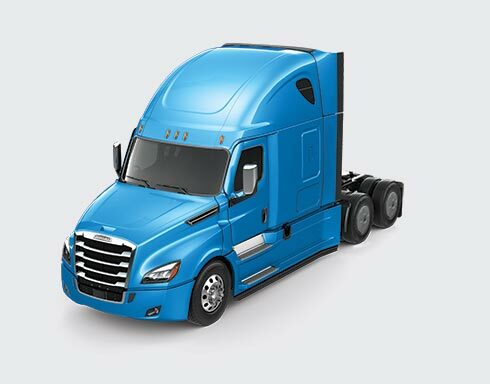 The new Cascadia from Freightliner is a quiet workhorse with triple-sealed doors, new Quiet Steel® technology and premium cab insulation material. Exterior trim packages and custom options add style and save fuel. During an average week, between driving, doing paperwork, eating, taking breaks, exercising and sleeping, drivers can spend more than 100 hours in the cab. The optimized Freightliner interior of the new Cascadia® was designed for drivers with this in mind. 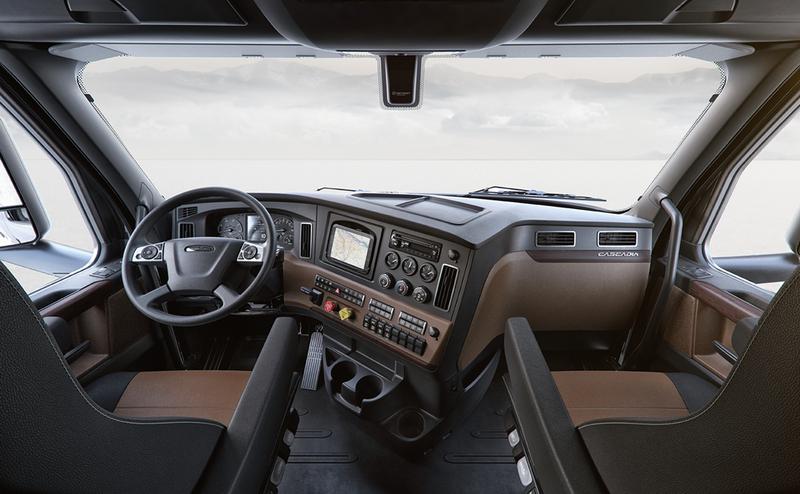 Freightliner reimagined the new Cascadia interior, starting with the dashboard, which features an all-new instrument cluster and automotive-style steering wheel controls and switch placement, to meet the driver needs. The new Cascadia day cab options are designed for safety and functionality. Gauges are integrated with the instrument cluster and operated from simple controls on the steering wheel. Large, comfortable seats, a powerful HVAC system with six dash-mounted vents and adjustable-tilt telescoping steering increase cab comfort. The new Cascadia® is available in 48-inch, 60-inch and 72-inch mid-roof models, plus 60-inch and 72-inch raised-roof sleeper options. Optional driver lounge incorporates dual-seat dining/working areas with a table-desk and a large, fold-down 40-inch by 80-inch bed. There are also new refrigerator options and improved storage spaces that include shelving. A swing-out TV bracket accepts a 24-inch flat-panel television; ambient lighting options and increased power outlets for added convenience. The Integrated Detroit™ Powertrain (IDP) is specifically designed, engineered and assembled in Detroit to work together as a single unit for optimal drivetrain efficiency, helping to maximize your bottom line results. IDP integrates the most fuel efficient DD15® and DD13® engines ever designed with the technologically advanced DT12™ transmission and specifically engineered Detroit steer and high-speed ratio tandem axles for optimal, efficient performance. Spec your new Cascadia® with the Integrated Detroit™ Powertrain (IDP), uniting engine, transmission and axles to optimize your configuration. The downsped, 400HP DD13 efficiently powers less-than-truckload, regional distribution and vocational applications. 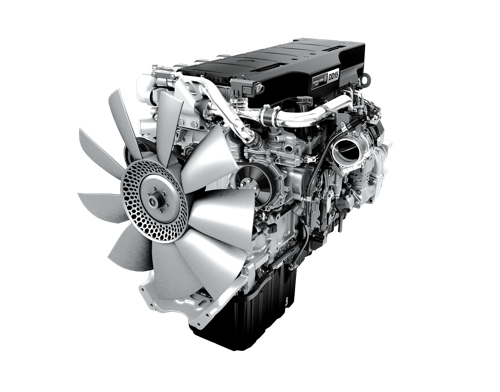 A great engine choice for the new Cascadia, the DD13 features the longest service intervals in its class, with easy serviceability. 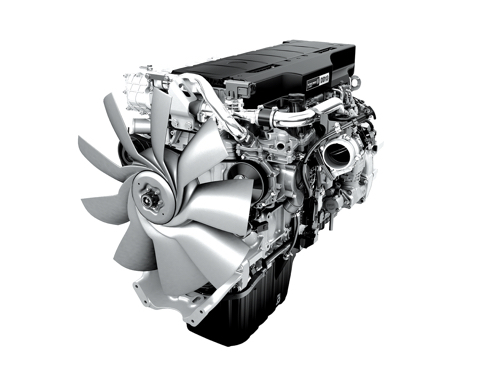 The downsped, high-performance, 400 HP DD15 engine is a great choice to power your custom Freightliner Cascadia, with a 1750 lb-ft rating, and greater horsepower and torque at lower RPMs. Operate in top gear longer and cruise at more efficient engine speeds with the DD15. A standard option in the New Cascadia, the Detroit DT12 Automated Manual Transmission combines a traditional, clutch-actuated manual gearbox with a computer-controlled shift actuator and clutch. The best shift patterns are selected electronically for optimal power and fuel efficiency. 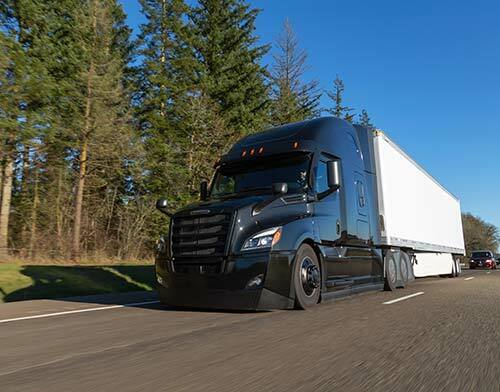 In the new Cascadia, the DT12 transmission uses IPM to pinpoint the truck's location and looks more than a mile ahead to anticipate terrain, adjusting cruise control, pre-selecting gears, using eCoast and engine-braking to maximize efficiency. 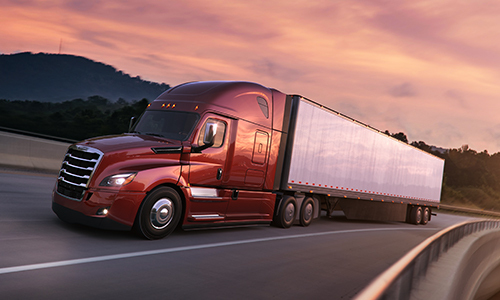 The superior choice for your new Cascadia, Detroit axles meet the toughest demands. Our front-steer, single-rear and tandem-rear axles equip your truck with the support and maneuverability your business needs to facilitate success. Detroit™ tandem rear axles feature an optional axle-lubrication-management (ALM) system that actively regulates the oil level at the ring gear, and friction-loss-optimized pinion bearings to reduce friction and parasitic loss. 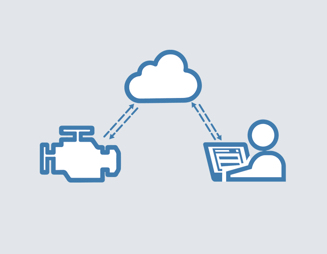 The Detroit™ Connect suite of connected vehicle services is like inviting a business analyst, service technician and experienced consultant into your new Cascadia to monitor performance data and empower your business decisions. 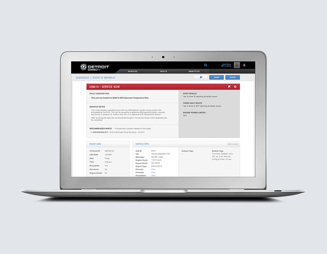 Detroit™ Connect Virtual Technician℠ Remote Diagnostic Service informs fleets and owner-operators driving new Freightliner trucks, spec’d with Detroit engines, within minutes of a fault event, noting the severity and when, where and how to best fix the issue. 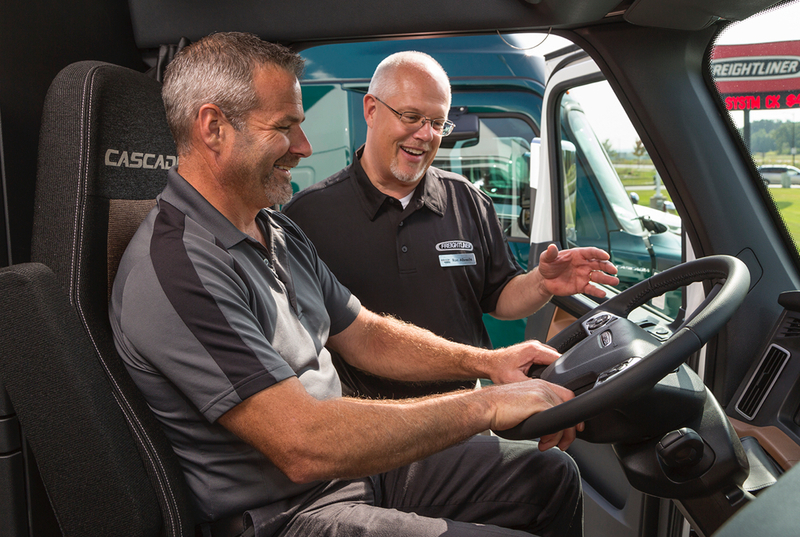 Helping fleets reduce diagnostic time and increase uptime in their new Freightliner Cascadias. 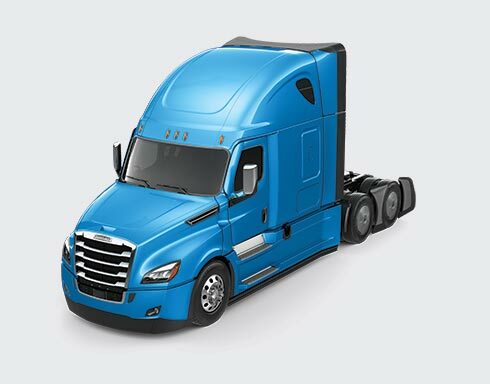 Remote Updates increases uptime by allowing new Freightliner Cascadia fleets to remotely accept powertrain firmware updates, initiate engine parameter changes and download Detroit Diesel Electronic Control (DDEC®) reports. Detroit Connect Analytics translates your Freightliner truck’s fuel efficiency performance and safety data into interactive, easy-to-understand reports with actionable insights, allowing you to spend less time crunching numbers and more time optimizing vehicle performance. 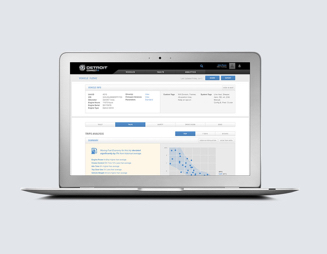 Detroit Connect Direct provides fleets with direct access to critical information such as vehicle location, fault codes and diagnostics, fuel performance, safety data and driver behavior. With Detroit Connect Direct, customers can select which data sets they want, how much and how frequently they would like that data made available, so it can be imported into their backend systems. Detroit Connect Direct is delivered through the proprietary Detroit Connect platform exclusive to the new Freightliner Cascadia. 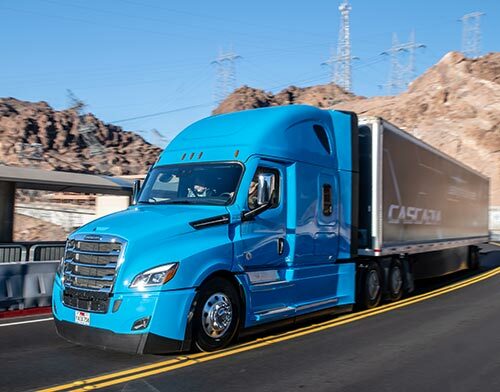 The proprietary Detroit Connect platform, exclusive to the new Cascadia, will link wirelessly with an in-cab device via Bluetooth, which allows hours of service (HOS) data to be delivered to Detroit Connect authorized Electronic Logging Device (ELD) apps. This provides the necessary information required from the vehicle to meet the federal ELD regulations without the need for any additional pieces of hardware. New Cascadia owners can choose among multiple fleet-management solutions, including pre-wire options for third-party telematics providers. 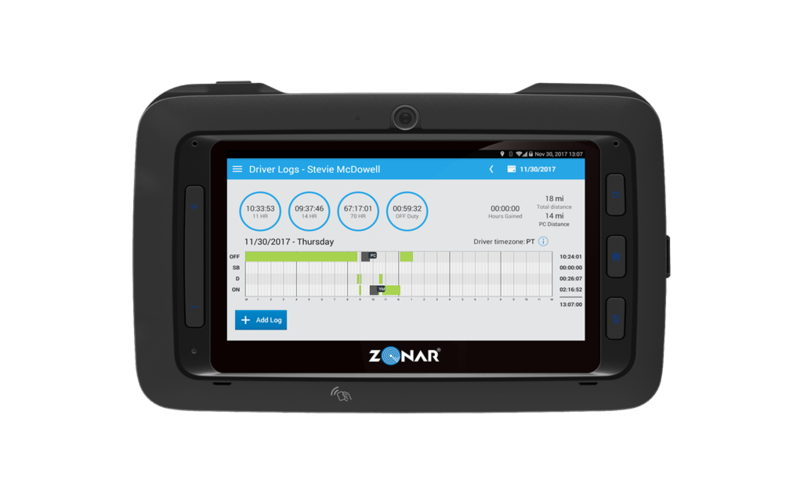 The Zonar Connect mobile communications tablet, from Freightliner’s preferred telematics partner Zonar, simplifies driver communication and recordkeeping. 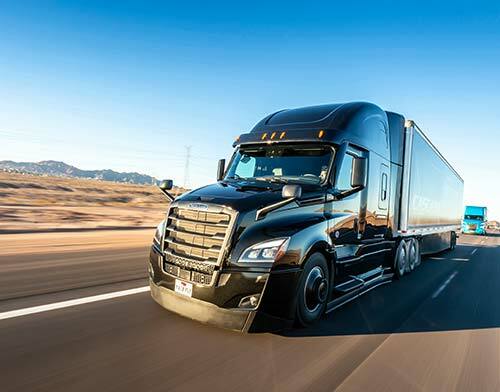 With disc brakes and the Detroit Assurance 4.0 collision mitigation system coming standard on the new Cascadia, Freightliner’s commitment to safety remains our priority. Design improvements, technological advancements, and new safety features reinforce our top goal of accident reduction and driver protection. 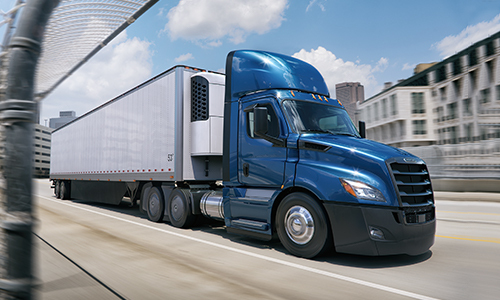 Detroit Assurance 5.0 is standard equipment on every Detroit-powered new Cascadia. Detroit Assurance 5.0 offers a number of enhancements that can improve uptime, safety and driver experience, including fusing the radar and camera technologies for increased confidence in object detection to further mitigate accidents and the costs associated with them. The Detroit™ Assurance Suite of Safety Systems delivers on-road control and protection second to none in your new Cascadia. 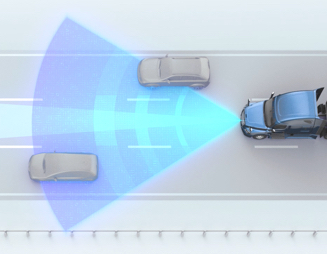 Active Brake Assist is always on, detecting the distances to objects ahead in its path, calculating speed, and determining if a warning or braking action is necessary. 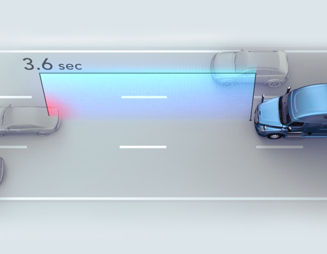 The optional camera based Lane Departure Warning system tracks the truck’s position and emits a visual and audible warning if the truck veers out of its lane unintentionally. The radar-based ABA system calculates distances and speeds of objects ahead in the truck’s path, determining if a warning or a braking action is necessary, and engaging in full or partial braking to mitigate potential collisions as needed. Automatically adjusting the new Cascadia’s cruising speed to maintain a safe, continuous following distances to vehicles ahead, ACC helps the truck remain in cruise control longer and reduces driver fatigue. Optional headway control in a new interactive dash display allows for adjusting following distances. 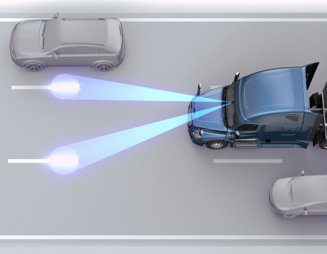 The optional camera-based LDW feature sounds an audio and visual alert if the driver unintentionally crosses lanes without using their turn signal by detecting reflective paint and raised reflectors on the road. 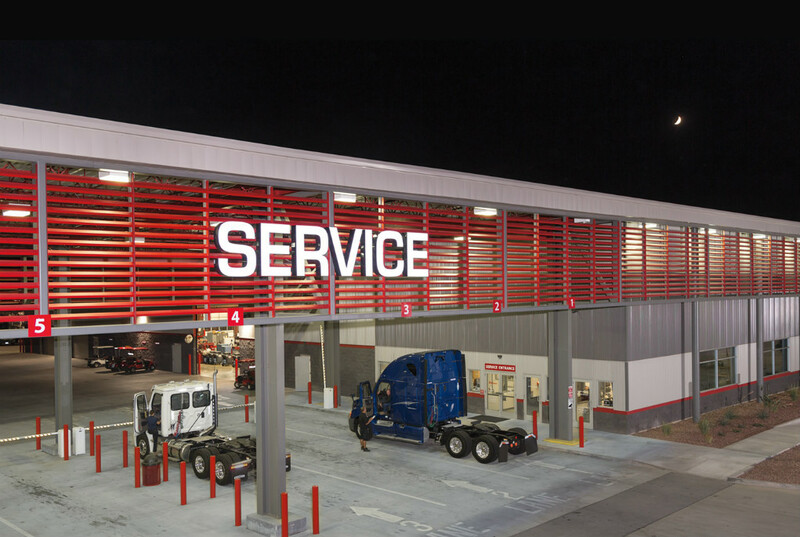 Freightliner’s robust service footprint with more than 400 dealership and service locations in North America – 268 Elite Support dealerships, 200 ServicePoint facilities and a 24/7 toll-free hotline - means no matter where you are, we've got you covered. Your new Cascadia is built with genuine Freightliner parts—designed and manufactured with the highest quality materials. For optimal durability and performance, accept no substitutes. Freightliner’s robust North American service profile, with 268 Elite Support Dealerships and 200 ServicePoint centers, makes it easy to keep your new Cascadia running strong, wherever you are. 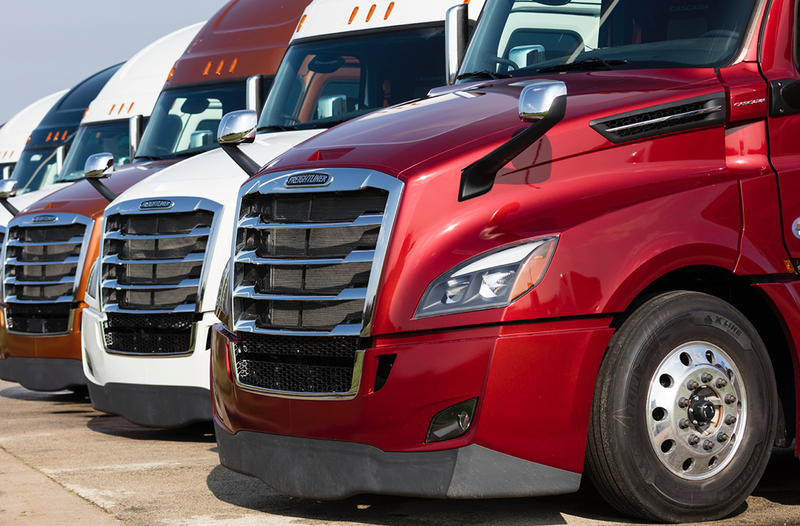 In your new Cascadia, you can always connect directly with real people at (1-800-FTL-HELP). With our 24/7, toll-free helpline for technical support, roadside assistance or towing services, Freightliner is here to help. 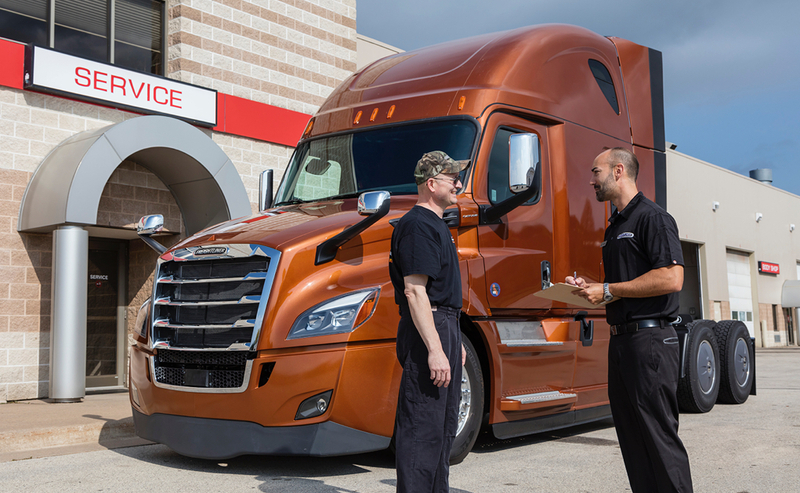 Freightliner offers North America’s most extensive dealership network, with more than 400 locations spread far and wide, staffed with highly trained experts who know your new Cascadia. The new Cascadia: From day cabs to mid-roof and raised-roof sleepers, Freightliner has the right on-highway truck to fit your business needs.